How do plants use water? What is a watershed? 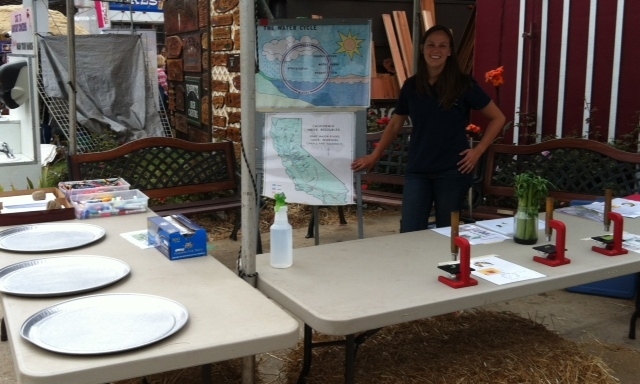 UC HAREC Education Outreach Intern, Lauren Martinez, takes the show on the road trying out some of the fun hands-on activities she’s incorporating into a new water education program for the Center. 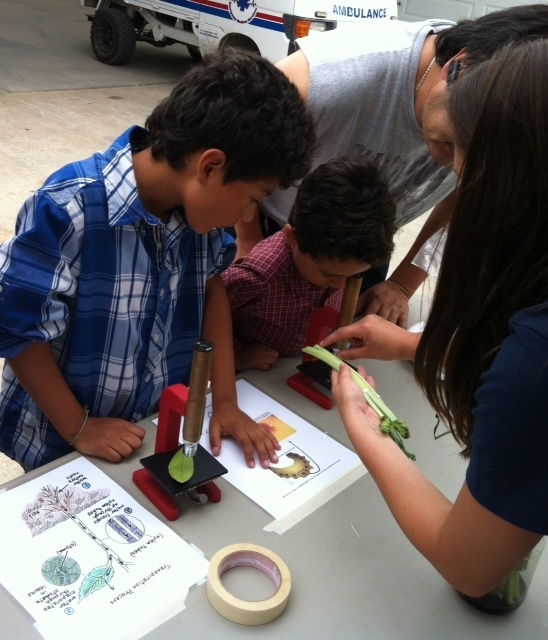 Visitors witnessed transpiration from a plastic wrapped plant, identified the xylem in a celery dissection and stomata in a citrus leaf under microscopes, predicted water flow on topographical maps and made their own watershed. The booth created intrigue. Who says science can’t be fun? 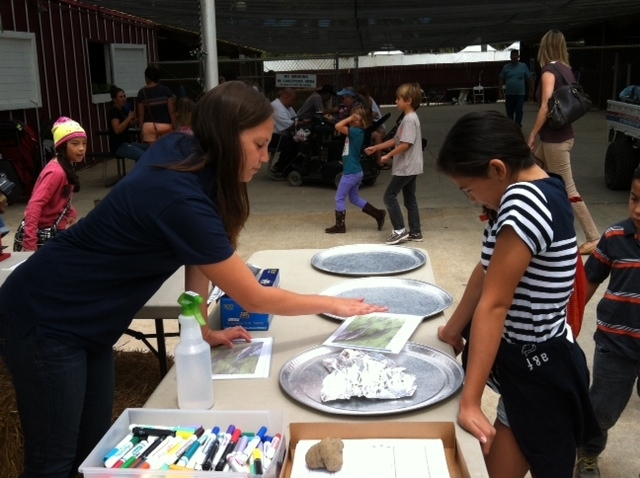 Over 300 youth (and adults) participated in science based activities and left with an appreciation for an important natural resource… along with stickers, wacky water word search and coloring sheets to remind them of the vocabulary and principles they learned at the Ventura County Fair.